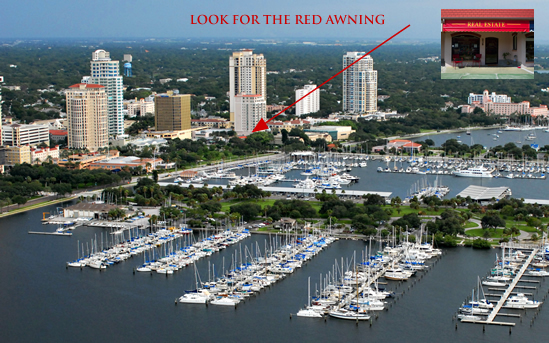 Coastal Properties Groupenjoys a spectacular location on Beautiful Beach Drive in downtown St. Petersburg, just across from the Museum of Fine Arts. From I-275 take Exit 23-A, which becomes 4th Avenue North. Follow it all the way to the water, then turn right onto Beach Drive. Monday through Friday from 9:00 a.m. - 5:00 p.m.
Saturdays from 10:00 a.m. - 4:00 p.m. | Sundays from 12:00 p.m. - 4:00 p.m.
We're pet-friendly and family-friendly. Please stop in if we can be of assistance with these types of services or for any of your real estate needs.